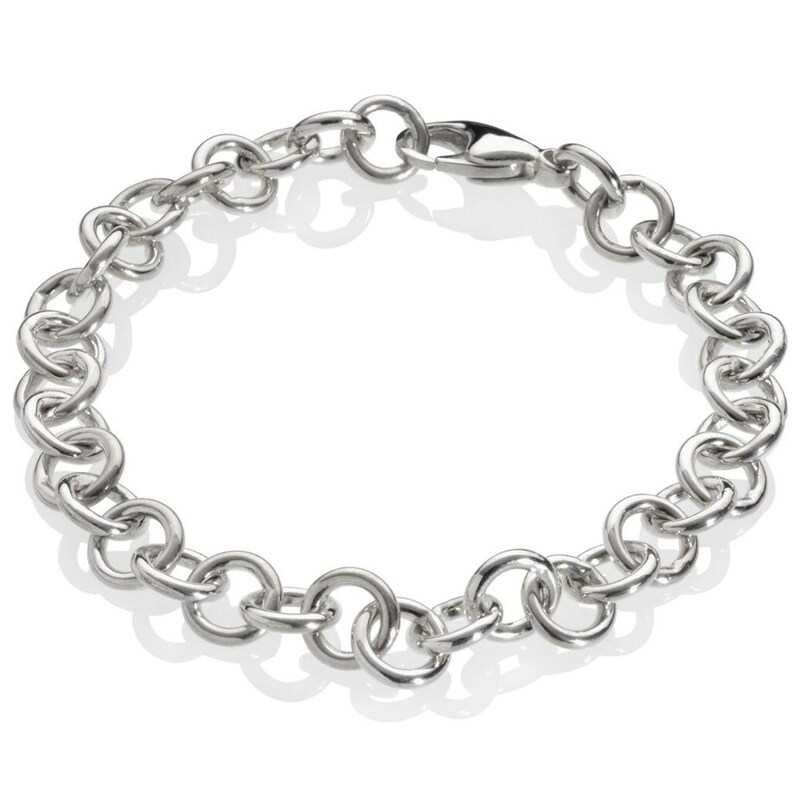 Classic Large Link Bracelet with a Modern Carabiner Closing! The large oval links are hollow and very sturdy. 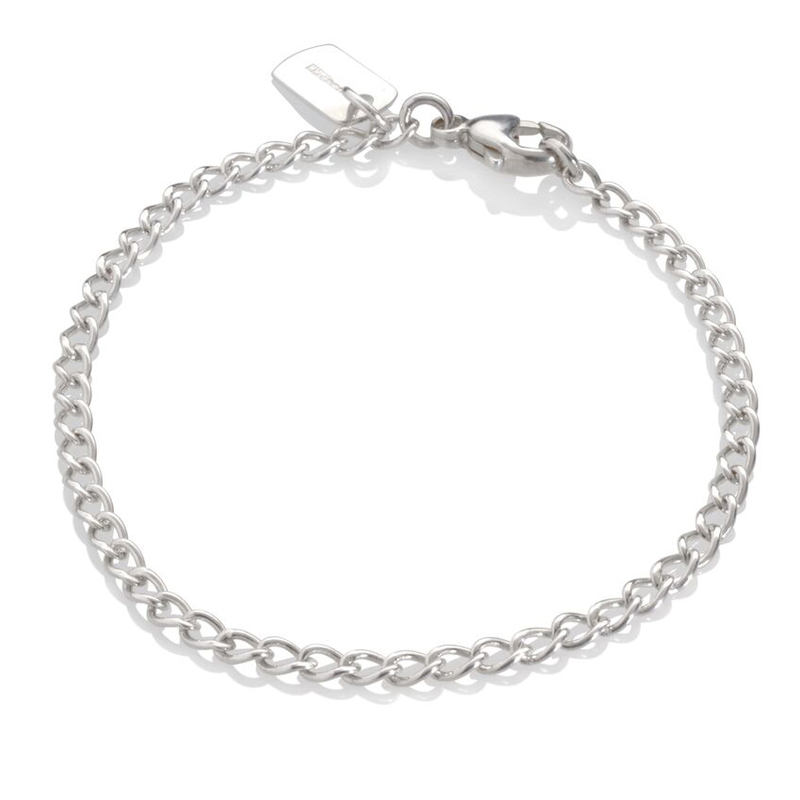 The bracelet is light in weight and very comfortable to wear – the perfect accessory to go with any outfit! 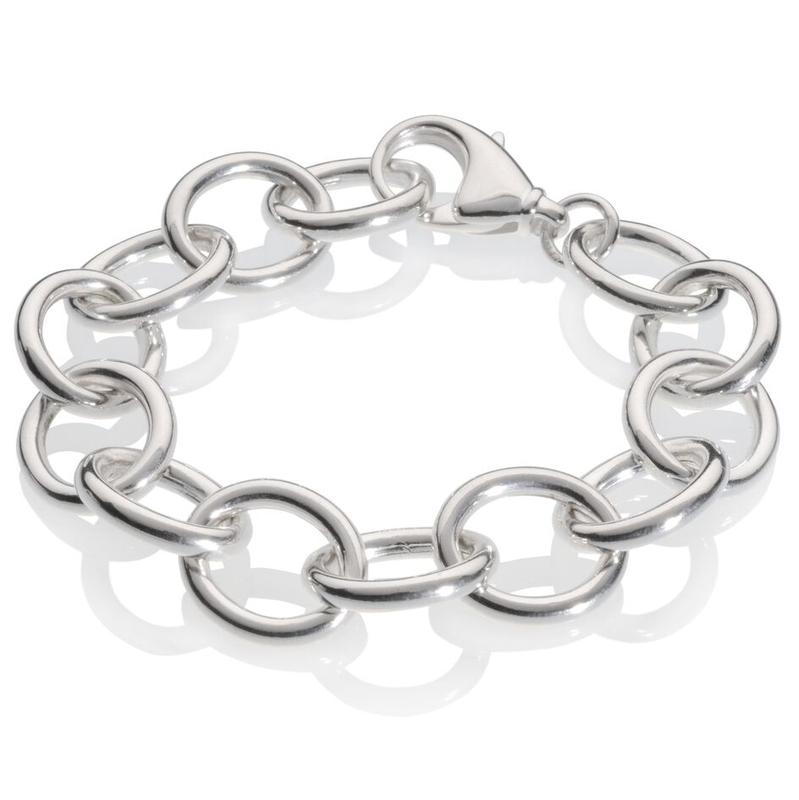 The bracelet is hallmarked by the London Assay Office and carries the maker’s mark ‘MMzS’.